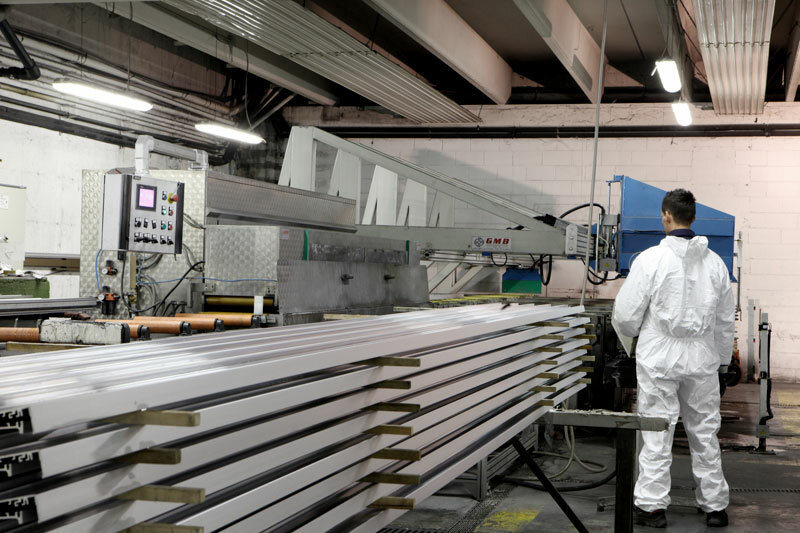 Finishes are preliminary treatments performed on aluminium profiles that must achieve a particular aesthetic appearance. 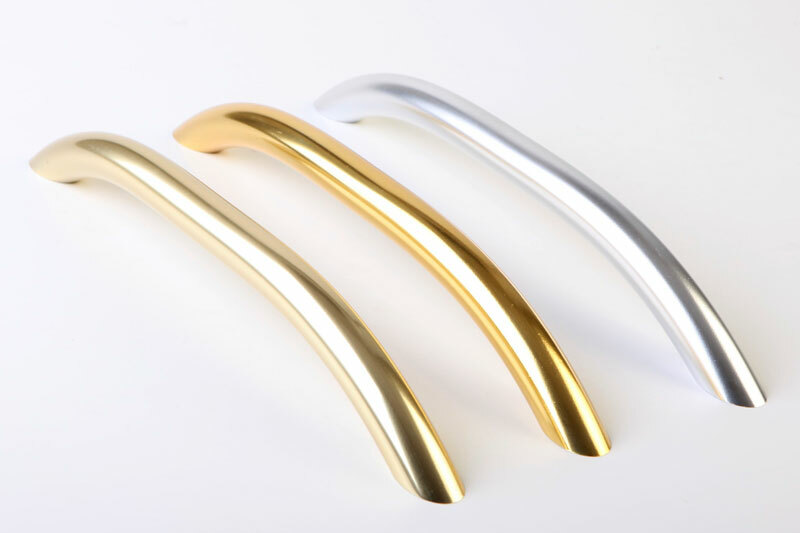 This is the case of brushed anodised aluminium (ARS), polishing (ARP) or chemical silk-finishing (ARC). Aluminium wire-brushing (ARS) is a finish that gives to the profile a special etching. 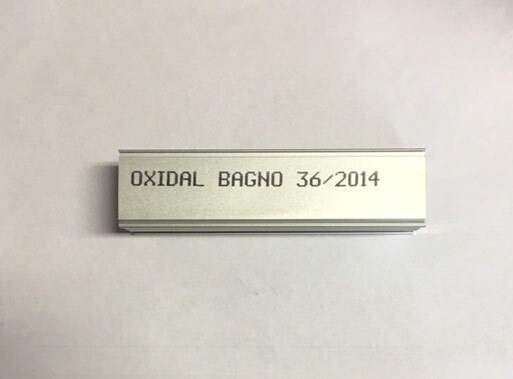 In Oxidal Bagno's case, the treatment is performed using metal brushes in steel, tinex and Scotch Brite depending on the finish to be obtained. 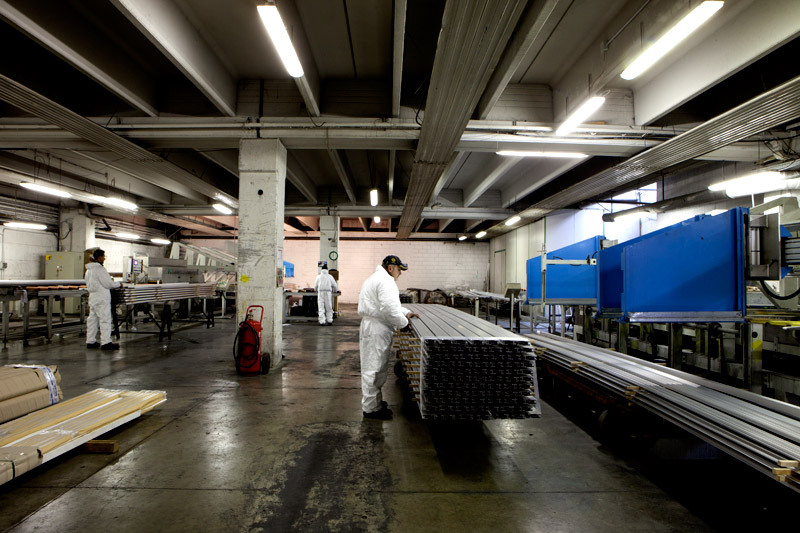 The use of machines with metal brushes results in a less pronounced etching of the aluminium, but eliminates at the same time the use of cleaning pastes. 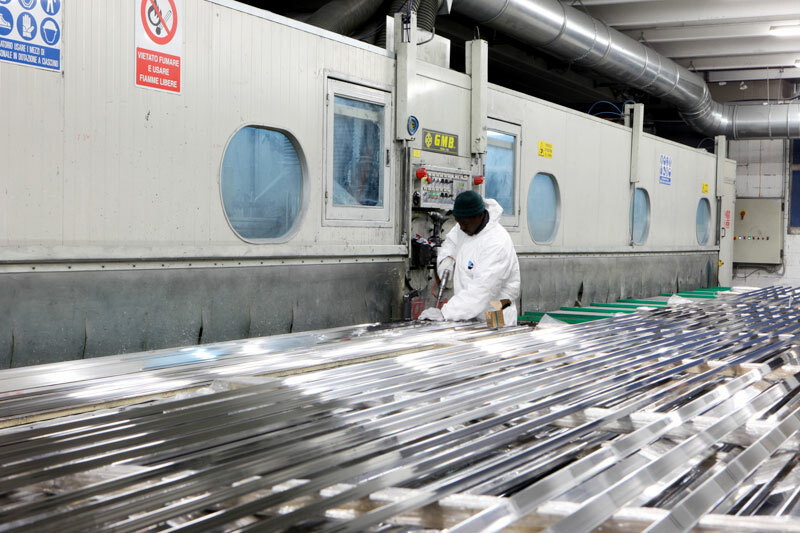 Aluminium polishing (ARP) is a treatment that, by mechanically cleaning the surface of rough aluminium, gives the same a mirror finish. Oxidal Bagno's fleet of machines boasts a bench polisher with discs made from cotton, army cloth or sisal, able to treat profiles up to 7 metres long. The sheen of the aluminium is enhanced by a special paste that lubricates the mechanical discs. Aluminium buffing is a special finish that is performed by way of an electro-chemical process. 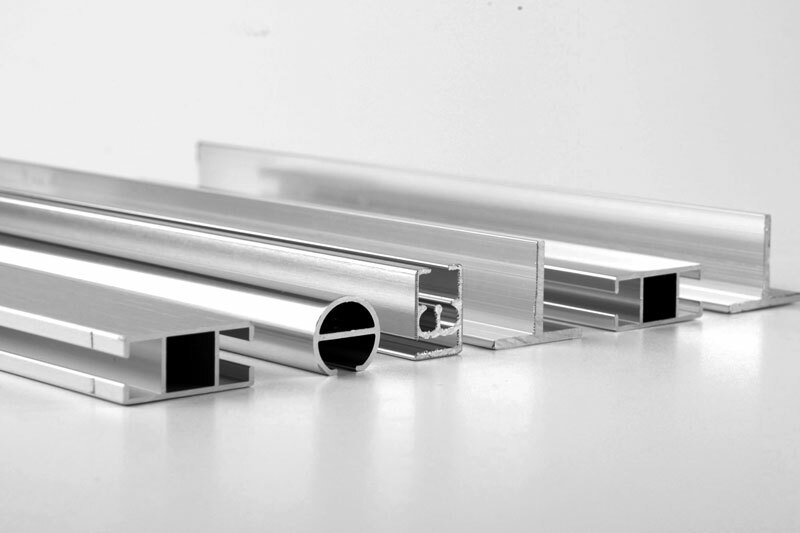 This finish is suitable for both accessories and small items, and for aluminium profiles and extrusions. 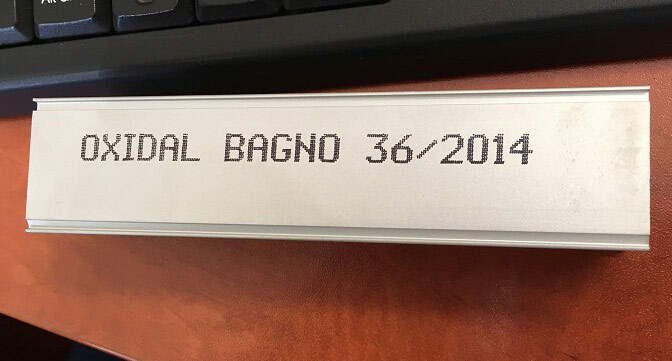 Oxidal Bagno – in line with the customer's requirements – favours electro-chemical buffing treatments that ensure the lowest possible environmental impact. 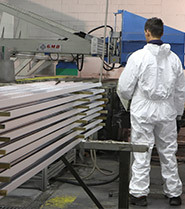 Aluminium silk-finishing (ARC) is a treatment that gives the surface a uniform finish and velvety effect, by way of a chemical bath in a solution of soda. 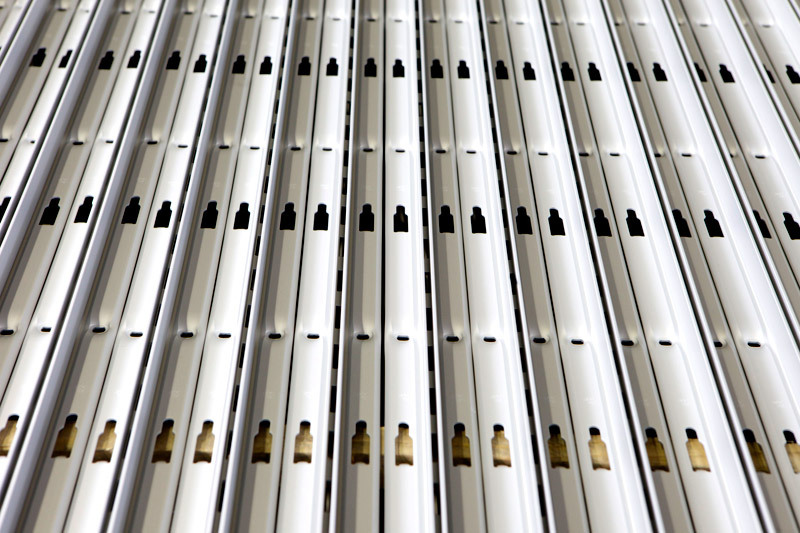 Alongside the aesthetic function, silk-finishing also allows for the surface defects of aluminium to be reduced. Marking with indelible ink jet is a personalized stamp carried out with a special indelible ink jet technology on the surface of the each anodized profile. This technique allows you to mark and tag the profile or the lot. The operation is carried out without contact with the surface of the profile. 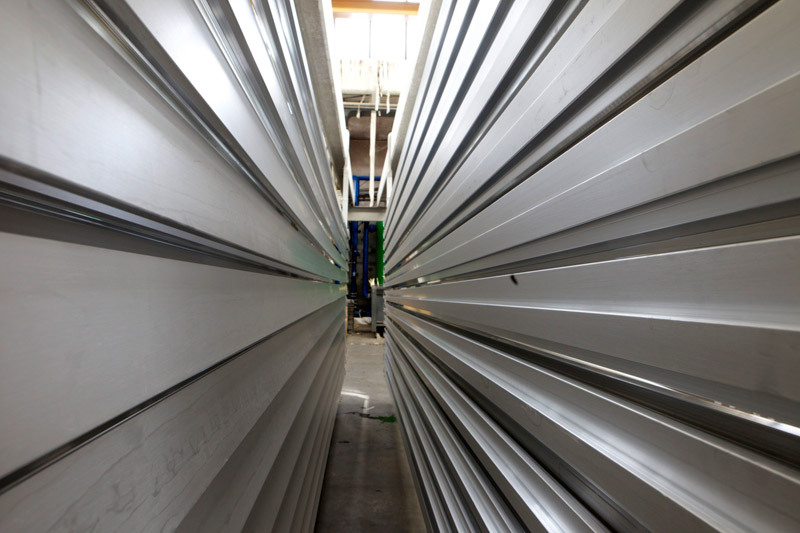 Finishes are preliminary treatments created on aluminium sheets or profiles. 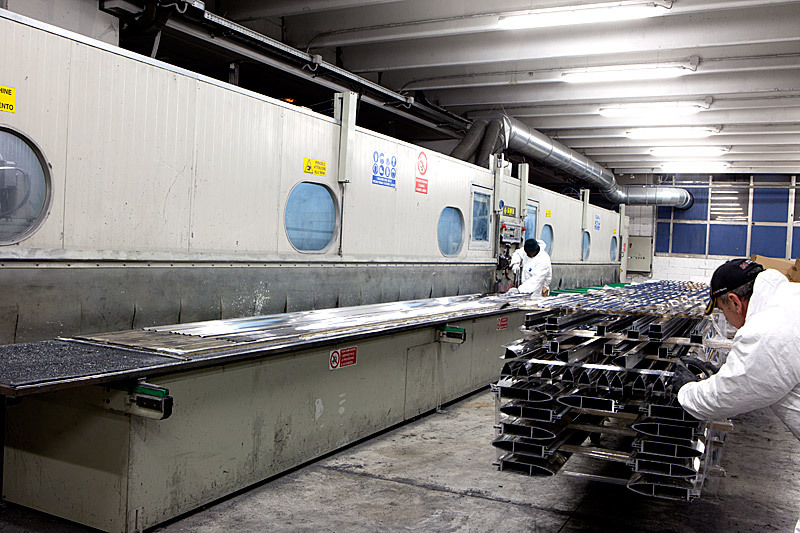 Aluminium anodising is a process with an anti-corrosive and aesthetic function. 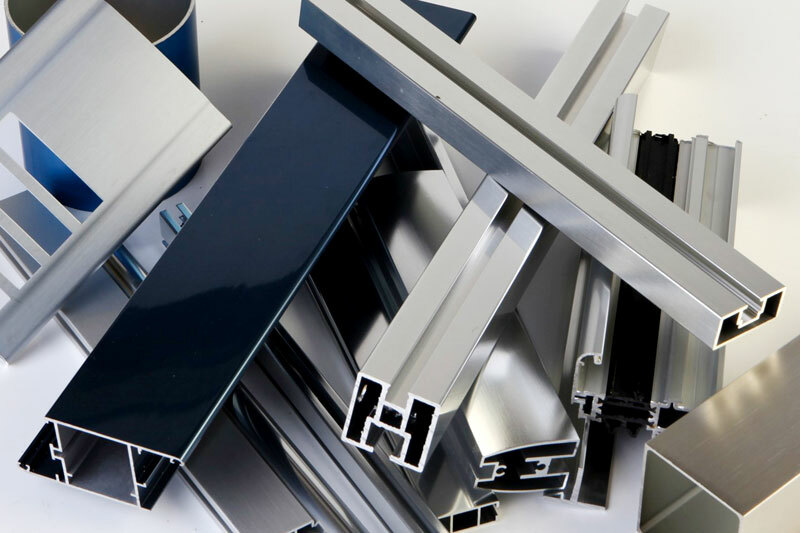 Anodised aluminium sheets, profiles and extrusions can be coloured. 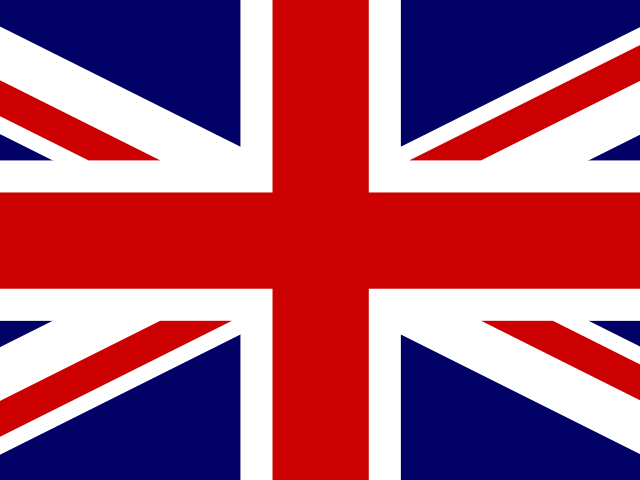 In order to maintain the anti-corrosive properties and aesthetic characteristics unaltered over time.